The government of Pakistan has imposed a ban on the release of Bollywood productions across the country during and around Eid. 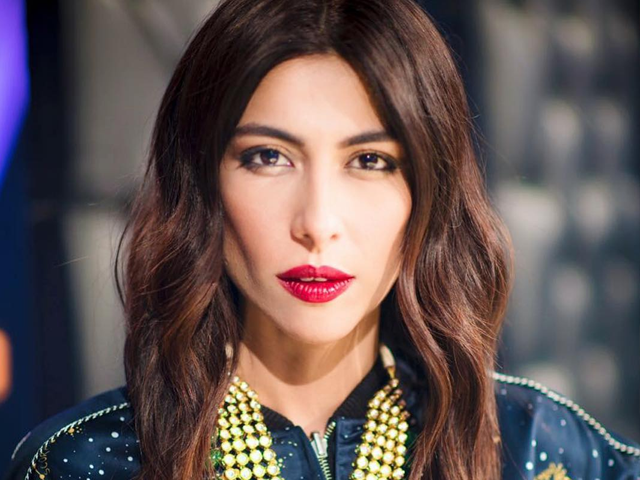 In this connection, an official notice has been sent by the Ministry of Information, Broadcasting, National History and Literary Heritage to the chairman of the Pakistan Film Exhibitors Association and all others involved. Salman Khan’s latest offering, Race 3 was slated to release on June 15 worldwide. However, it is falling around the same time and will not be screened at local cinemas. 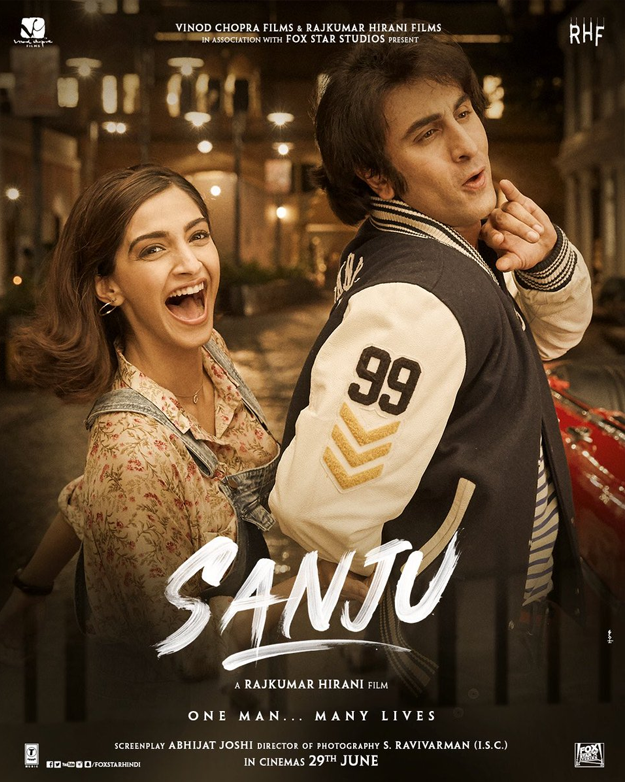 According to Pinkvilla, Salman’s film will most likely be clashing with Ranbir Kapoor’s much awaited project, Sanju, at the Pakistan box office. 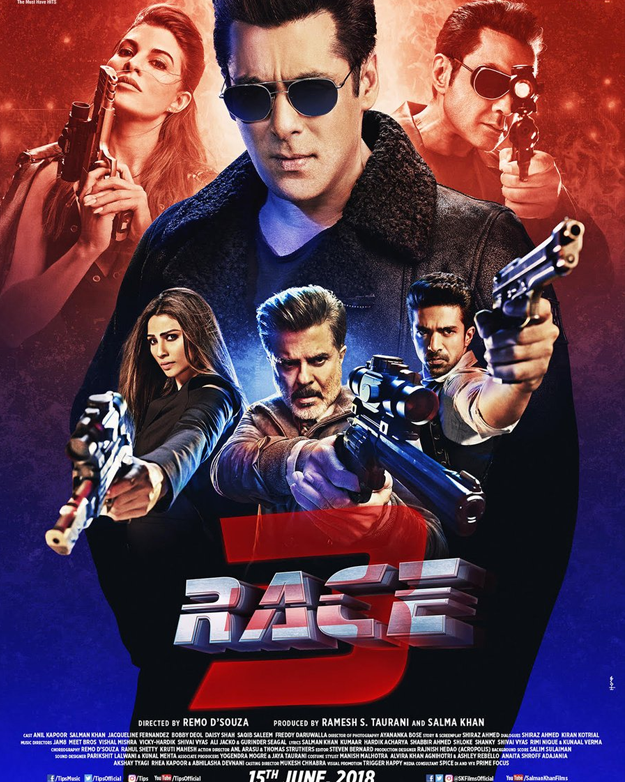 Race 3 has received a new release date in Pakistan: June 29. 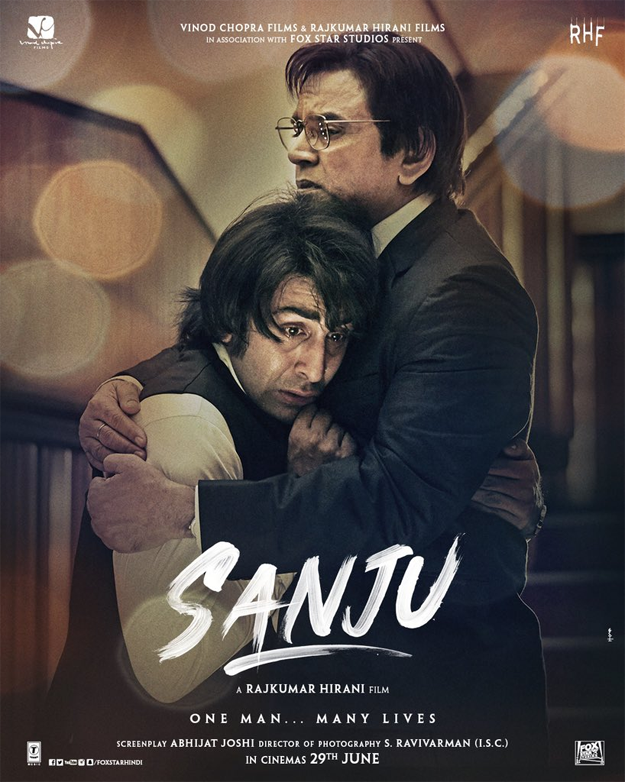 Incidentally, it is also the official release date of Sanju in both India and Pakistan. A senior distributor from Pakistan has informed the publication that both the films will release on the same day here but there is a lot of excitement for Sanju. However, since there is a huge fan following of Salman’s on this side of the border, Race 3 will also get an ample amount of screening. His film Bajrangi Bhaijaan has been one of the top grosser films in the country. 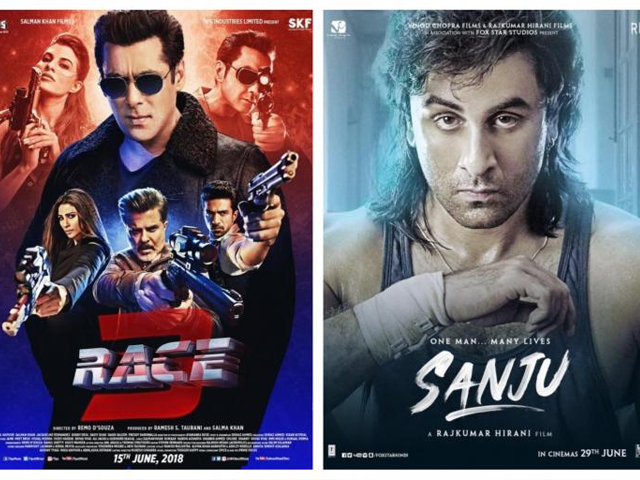 In India, Sanju releases on June 29, while Race 3 is slated to release on June 15. 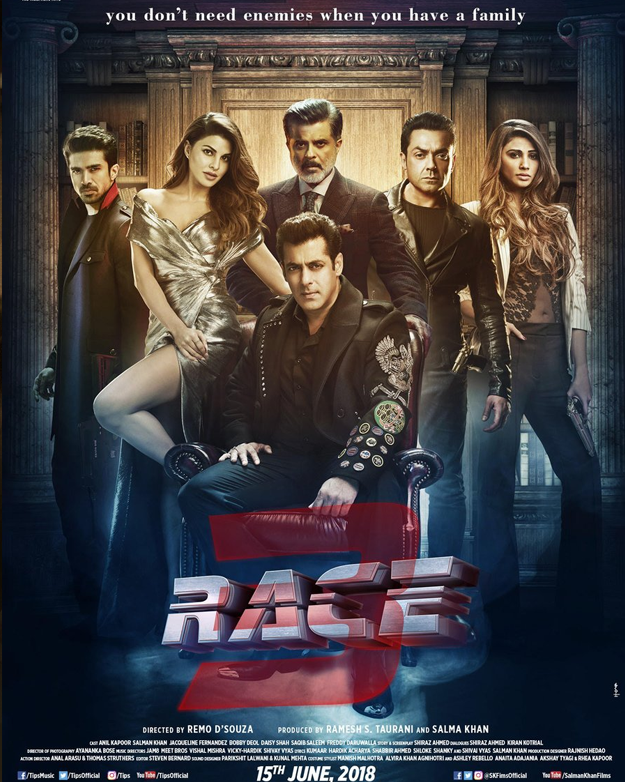 The third installment on the Race franchise, the film is directed by Remo D’Souza, starring Anil Kapoor, Jacqueline Fernandez, Bobby Deol, Daisy Shah, Saqib Saleem and Freddy Daruwala. Sanjay Dutt’s biopic is directed by the acclaimed director Rajkumar Hirani and stars Paresh Rawal, Manisha Koirala, Dia Mirza, Sonam Kapoor, Anushka Sharma, Vicky Kaushal and Karishma Tanna. In a document, a copy of which is also present with The Express Tribune, it has been informed that all foreign film importers to not purchase any Indian films during the upcoming Eidul Fitr and Eidul Azha. As per the government’s instructions, only local releases are to be screened during both the festivals. According to the notice, all cinemas across Pakistan are to observe the moratorium starting from two days before Eidul Fitr up until two weeks after. The Punjab Film Censor Board and Sindh Film Censor Board have also been told the same. Cinema-goers can instead feast their eyes on Mahira Khan-starrer 7 Din Mohabbat In, Javed Sheikh’s Wujood and forthcoming war drama Azaadi. It is pertinent to mention here that local film directors, producers and even some actors have been demanding a ban on the screening of Indian content for years, not just on Eid but throughout the rest of the year as well.